← If Patti Stanger Says Your Marriage Will Work, Then It Will! A Sentence I Never Thought I’d Write: Pauly D and Vinny Have Great Taste! Oh my God Pauly D and Vinny left the Jersey Shore to come to New York City this week! Normally–this would be the kind of thing where not a single f— was given . . . BUT this time I have to give them two thumbs up because they ate at my favorite pizza place, Artichoke! I just want to run my fingers through their hair because it is probably so soft. A slice of artichoke pizza at Artichoke Basille’s Pizzeria & Bar will cost you $5 and about 4200 Weight Watchers Points, but it is WORTH IT because it is delicious. 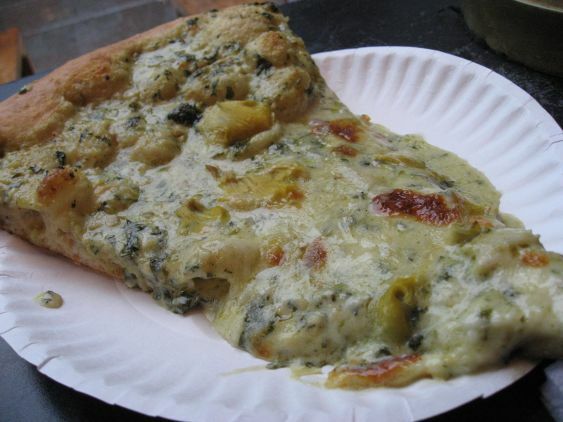 It is essentially spinach artichoke dip poured onto focaccia bread and it is a gift from God if God were Paula Deen in the pre-diabetes years. It is much better in person. If you don’t want to clog up your arteries you can also try their margherita, crab or Sicilian slices which are also AMAZING. So Pauly D and Vinny I commend you on your good taste! Probably the only time anyone has ever said that to you! 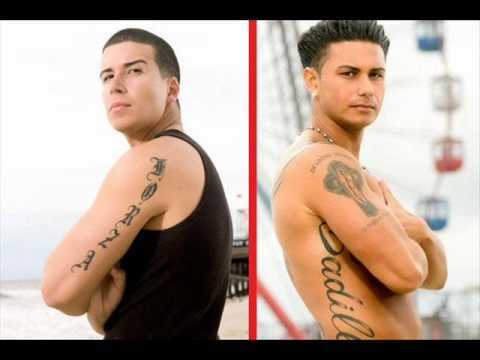 2 Responses to A Sentence I Never Thought I’d Write: Pauly D and Vinny Have Great Taste! OhMaGa. I want a slice of that pizza now – it looks amazing. Screw the hurricane, I need gooey, greasy pizza. It really is amazing. The first time I ever had it I was all, I don’t want to pay $5 for a slice but I am so, so happy I did.